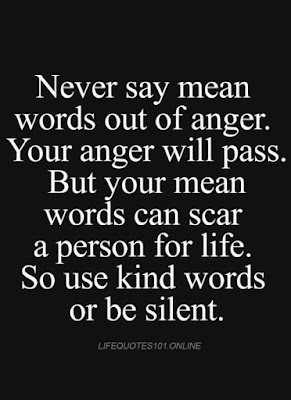 Never say mean words out of anger. 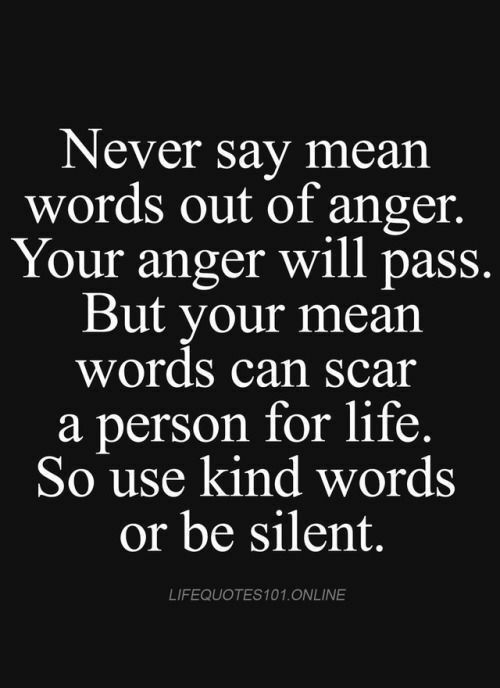 But your mean words can scar a person for life. So use kind words or be silent.